DC Uncovered — Unity Health Care, Inc., delivers comprehensive health and human services throughout the District regardless of a patient’s ability to pay. 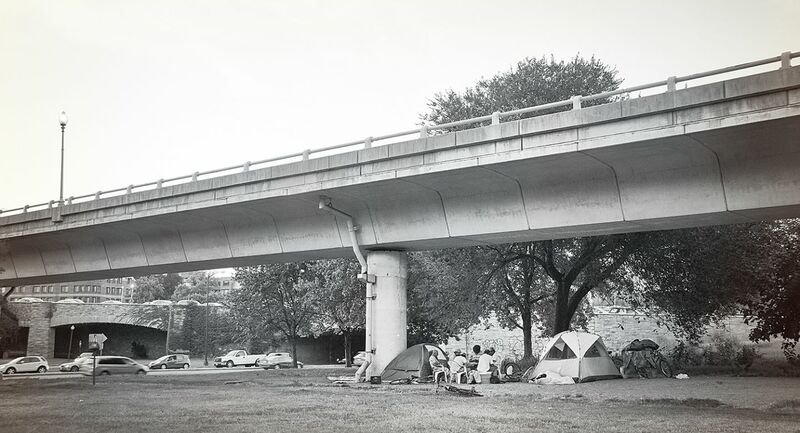 Baltimore Uncovered — Established in 1985, Health Care for the Homeless provides quality, integrated health care and promotes access to affordable housing and sustainable income through direct service, advocacy, and community engagement. Spokane Uncovered — Blessings Under the Bridge restores hope, purpose, and dignity to the lives of those lost on the streets, having served over 100,000 meals under an I-90 overpass in Spokane since 2007. Olympia Uncovered — SideWalk provides “rapid rehousing” to those who are homeless. Their grassroots engagement and evidence-driven practices have generated unprecedented results. In less than three years, SideWalk moved 500 people off the streets into permanent housing. Salt Lake City Uncovered — The Road Home helps people move into permanent housing while also addressing a spectrum of other needs. Brooklyn Uncovered — The Ali Forney Center is distinguished among Brooklyn charities for its focus on homeless LGBTQ youth services, including medical and housing needs.